The 37-year-old has also been charged with the attempted murder of an eight-year-old. 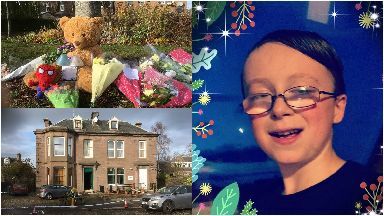 A man has been charged with the murder of ten-year-old Kane Morris and the attempted murder of a girl found seriously hurt in a house in Coupar Angus. The 37-year-old man is expected to appear at Perth Sheriff Court on Thursday, police said. Kane was found dead at a property in Union Street, Coupar Angus at around 2.30am on Sunday November 11. Detective inspector Ross Fitzgerald, from Police Scotland's Major Investigation Team, said: "I can now confirm that a 37-year-old man has been charged in connection with the murder of Kane and the attempted murder of an eight-year-old girl, who is still receiving treatment in hospital. "Our thoughts are with them. I would again like to thank local residents of Coupar Angus for their understanding whilst enquiries have been carried out."